If you’re a HomePod owner or someone who is considering making a purchase, then you might want to make time on July 25th with Apple announcing that it will be hosting a live event in its Support Communities that will be based around its digital assistant and smart speaker. 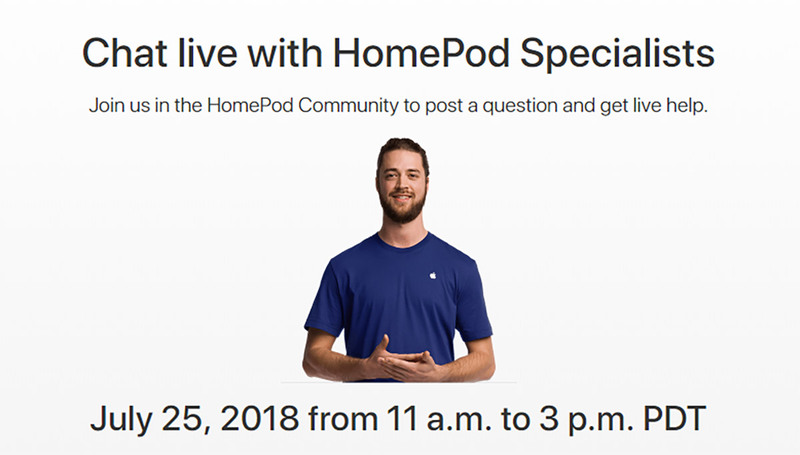 Specialists will be available between 11:00 and 15:00 pacific time, answering questions about any HomePod-related topic throughout. Anyone wishing to take part in the special event can head on over to the HomePod community in the larger Apple Support Communities and signing in / creating an account. All they have to do then is post a question and hope that the HomePod specialists pick it out and answer it live. Apple’s specialists already monitor the Apple Support Communities and answer questions as and when they can, but this will have them on-hand and live, meaning questions could be answered in real time allowing people to get the help they need sooner. We don’t yet know whether this is Apple trialing something that could turn into a regular feature across its entire product range, but if you’re a HomePod owner with a burning question that is yet to be answered, this could be a great way of rectifying that without having to call Apple or venture into an Apple Store.